Carrier air filters and Bryant air filters for Carrier air purifiers and Bryant air purifiers plus certain other brands such as Payne, Honeywell, Infinity Day and Night, Trion, Space-Gard, and other compatible manufacturers. 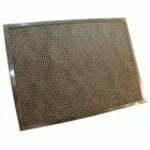 These Carrier air filters and Bryant air filters are used in various air purifier units and air cleaner systems including those made by Bryant, Carrier, Payne, Infinity Day-Night, Honeywell, Space-Gard, Trion, and other compatible brands. Carrier/Bryant air filter replacements will also fit many compatibly sized HVAC filter systems (check dimensions before purchasing).